It’s a grain-free, nut-free, sugar-free, keto blueberry coconut skillet cake. 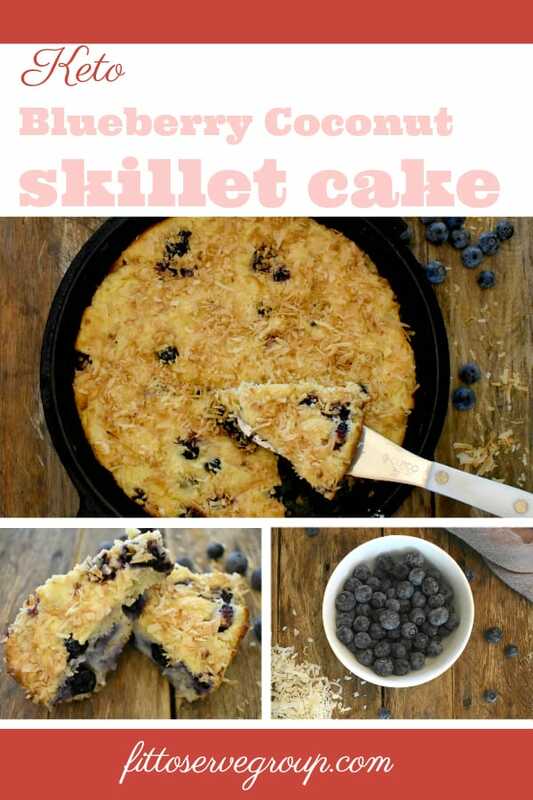 What’s more, this keto blueberry coconut skillet cake is light, airy, and moist. Something you can’t say about all keto coconut cakes. But I’ve somehow managed to crack the code on baking with low carb keto flours and my thankfully my treats are never dry. 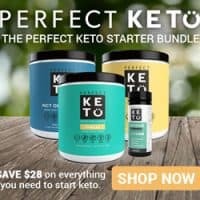 You should know I have a complete list of Keto Cakes that as a fan of cakes I encourage you to also visit. 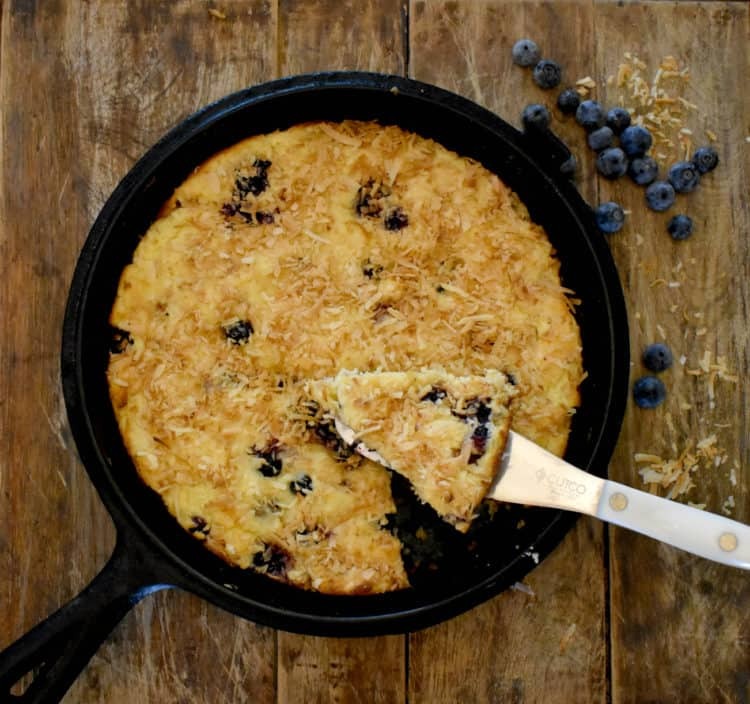 This keto blueberry coconut cake can be made in a cake pan, cast iron skillet or muffins. Which makes it easy to customize. I chose to feature the recipe in a cast iron skillet pan because I just love how well a cake bakes in it. Plus presenting a low carb blueberry cake in skillet looks stunning. 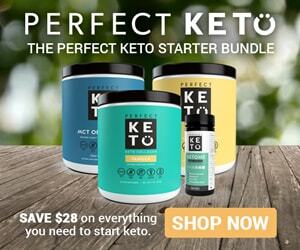 You are sure to get plenty of ohhhhh, ahhhhh when you take this keto cake to the table. 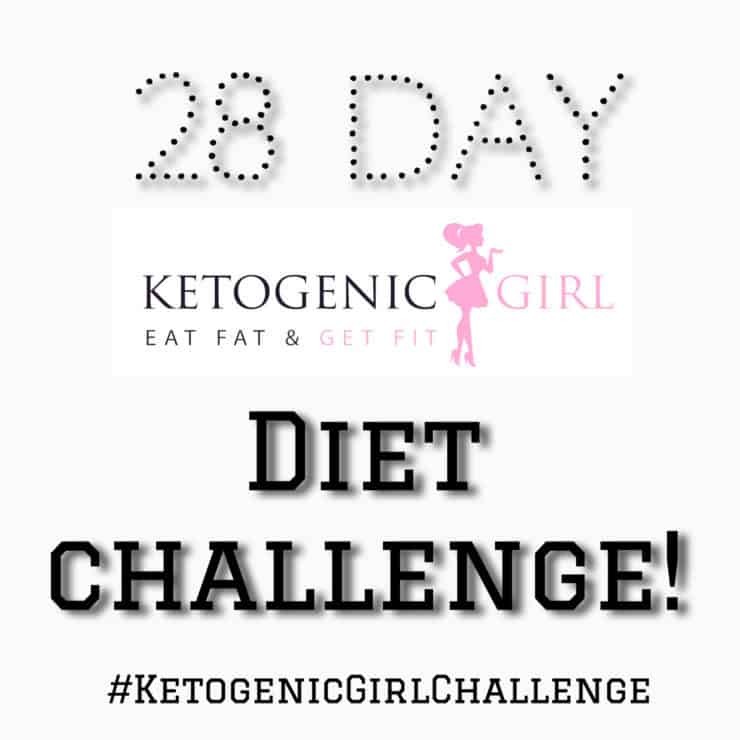 Creating low carb keto recipes that are not only delicious but easy to duplicate has become a passion of mine. 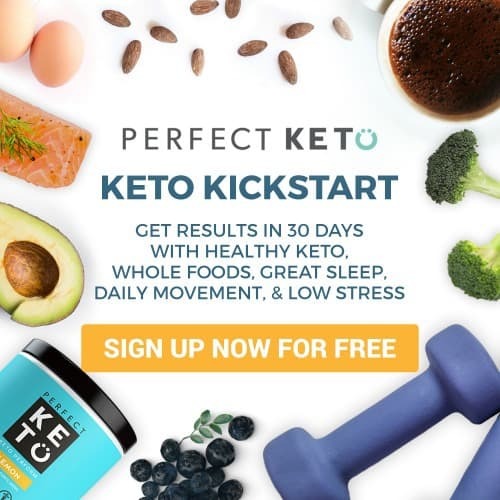 I am on a mission to make this amazing lifestyle sustainable one keto recipe at a time. 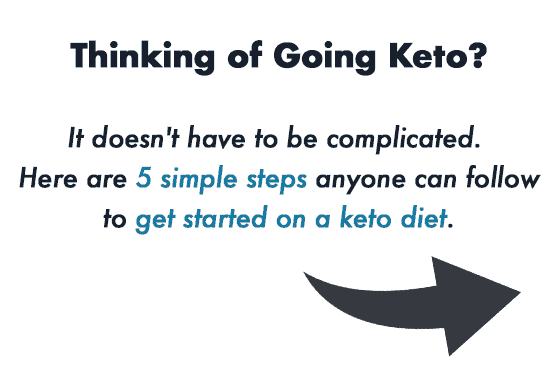 So, rest assured that if I am sharing a keto skillet cake with you, it’s going to simple to excuse. Something about blueberries always reminds me of great friendships and spending quality time with them. Why? Well, it’s because it used to be that blueberries only made an appearance when I wanted to make blueberry muffins for my dear friend Nancy. She was the first to try my blueberry muffins and was probably my biggest fan. So naturally, after I picked up a pint of fresh blueberries the other day, I immediately remembered those precious moments where we would talk about life and build each other in the faith. Today, Nancy would better approve of this keto blueberry coconut cake, than my traditional blueberry muffins. This is because she too has adopted this way of eating. Nancy and I grew up in the same church and we have always remained good friends. I am so grateful that neither time or distance got in the way of our friendship. Don’t you just love it when you can pick up where you left off? As if time stood still somehow for us. It’s been over two decades now, but back then Nancy would come over for coffee and a treat was always part of that equation. Since Nance loved my blueberry muffin recipe, it was often requested and this girl was more than happy to oblige. Those memories will always be held close to my heart. Although my love of baking for friends and loved ones is still a passion of mine, I no longer bake with regular flours or sugars. Regardless of who you are and what your diet consists of, if you’re invited over you will be having a low carb keto treat. Frankly, it’s a great way to share how delicious this way of eating is. These days, if I want to enjoy blueberries in a baked good it better be a low carb keto friendly option, like this keto blueberry cake. So now when I pick up a pint of blueberries, my thought process looks quite different. No longer am I thinking of how much sugar I can squeeze into a treat. Believe it or not, that used to be how this baker used to think. Now its more about how can I pack the most flavor, and nutrition into my goodies. 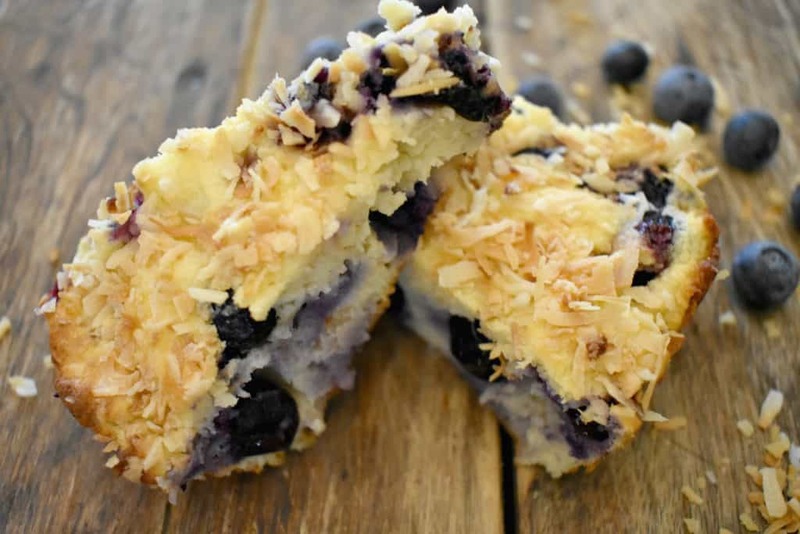 This keto blueberry coconut cake not only features antioxidant-rich berries but gut enhancing prebiotics. They are packed with a flavonoid called anthocyanin. It’s what gives blueberries their deep blue color and health benefits. Blueberries can enhance heart health, blood pressure, skin health, lower sugar levels, bone strength, cancer prevention. Probiotics are the beneficial bacteria that live in the colon that help us digest and absorb the nutrients in your foods. Most people are familiar with probiotics and their role in defending us against harmful bacteria. However, as important as probiotics are for your gut to work properly, these friendly bacteria simply would not exist if it were not for prebiotics. This is because prebiotics is the food that actually feeds probiotics. Without the feeding of probiotics, we can’t see the growth and repopulation in our gut. An easy way to remember the role of prebiotics is to think of it as a gut fertilizer. Coconut meat is rich in a prebiotic fiber called inulin. Inulin is a fructan and it promotes the growth of healthy bacteria in our gut. Looking for intentional ways to add nutrition to my baked goods is now a priority. I chose to make this keto blueberry coconut cake with coconut flour because I wanted to find a delicious way to include more inulin and antioxidants into our diet. Note: Botanically speaking coconut is a fruit. But in some cases, it is also a tree nut. If an individual is allergic to “tree nuts” there is a probability they are also allergic to coconut. So botanically these cookies are nut free. But not necessarily in every case. 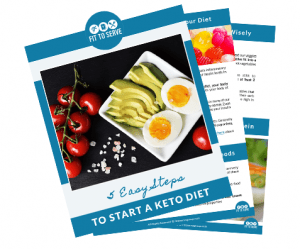 Have you been searching for a way to jump-start your low carb keto journey? 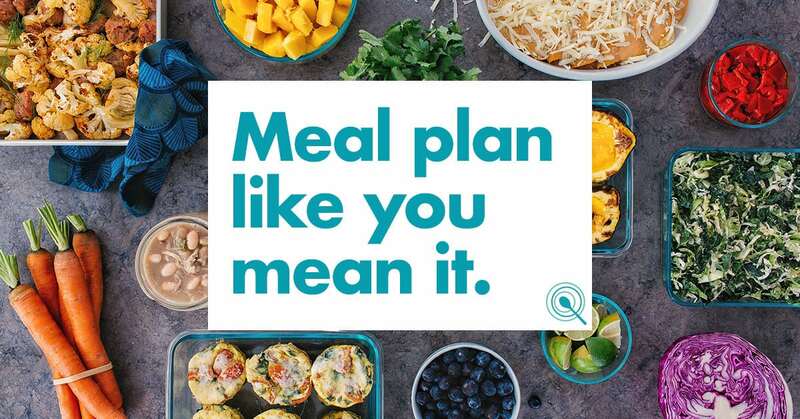 Does a plateau have you feeling frustrated? 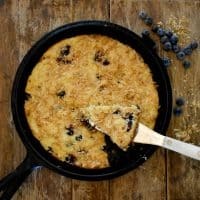 A delicious keto blueberry coconut skillet cake. Combine the sugar substitute, melted butter and the eggs. Add the sour cream and combine well. Next add all the dry ingredients, including the ¾ cup of the toasted coconut. Pour batter (note that it will be thick) into fully greased 9-inch round cake pan or cast-iron skillet. Top the scones with the ¼ cup of toasted coconut you reserved. Hi, Can I use a non stick pan instead of a cast Iron?